The 2016 FedEx Cup Playoffs will conclude this week with the playing of the 2016 Tour Championship. 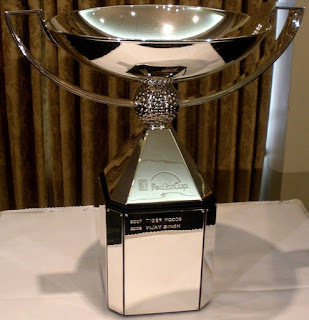 There is a lot of money on the line for the players and to show golf fans just how much money here is a list of the 2016 FedEx Cup prize money up for grabs in 2016. All the money listed here is just for the FedEx Cup. Players earn this bonus money by accumulating FedEx Cup playoff points throughout the season and in the four season-ending playoff tournaments. All PGA golfers who finished in the top 150 in points during the 2016 season will get paid FedEx Cup prize money as listed below. The FedEx Cup prize money is in addition to whatever earnings the players accumulated during the season. The total amount of prize money up for grabs for the PGA players from the FedEx Cup in 2016 is $35 million. The prize money then drops by $5,000 increments for each spot down to 30th place which is worth $175,000. The prize money then drops by $1,000 increments for each spot down to 50th which is worth $125,000.